About 10,000 drivers are now in the platform after the launch of RydeX. 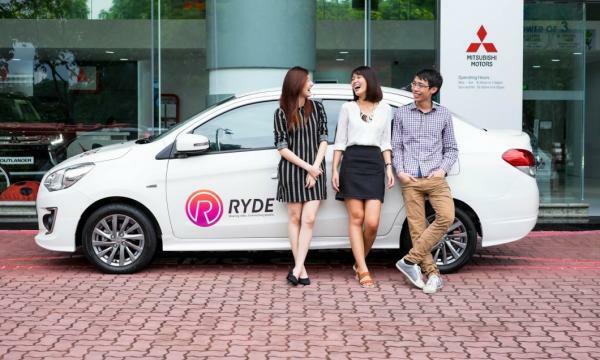 Ryde Technologies (Ryde) rolls out its on-demand private-hire car feature 10 weeks after launching its carpool service RydeX service in May. More than 10,000 private-hire drivers have registered with Ryde since. According to an announcement, Ryde’s on-demand feature connects riders with a nearby driver when they request for a ride, reducing average wait times to under five minutes for each booking. Drivers can accept both on-demand and scheduled jobs. The company said 80% of its active driver base is former Uber or Lion City Rental (LCR) drivers. “Ryde pledges to keep fares at competitive levels with reasonable surge pricing during peak hours to more efficiently calibrate demand and supply. All fares are upfront and fixed to provide price certainty to users,” it added. It also claimed that drivers can expect to take home higher incomes with market-lowest service fees of 5% for carpool and 10% for private hire.